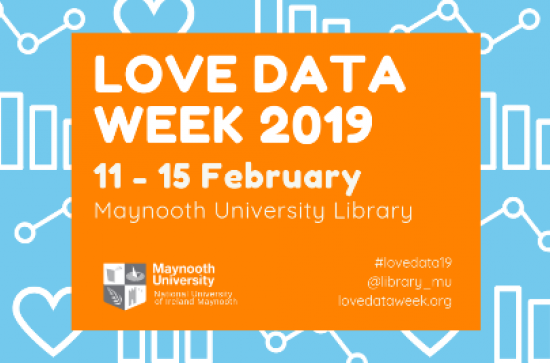 Maynooth University Library is marking 'Love Data' week for the second time this February with a series of talks and workshops by data specialists from on and off campus. A Building City Dashboards VR demo will take place on the 13th and there will be information stands for the Government's national Open Data Portal and MURAL (Maynooth University Research Archive Library)our rebranded institutional repository on the 14th. The full programme and further details are available here.